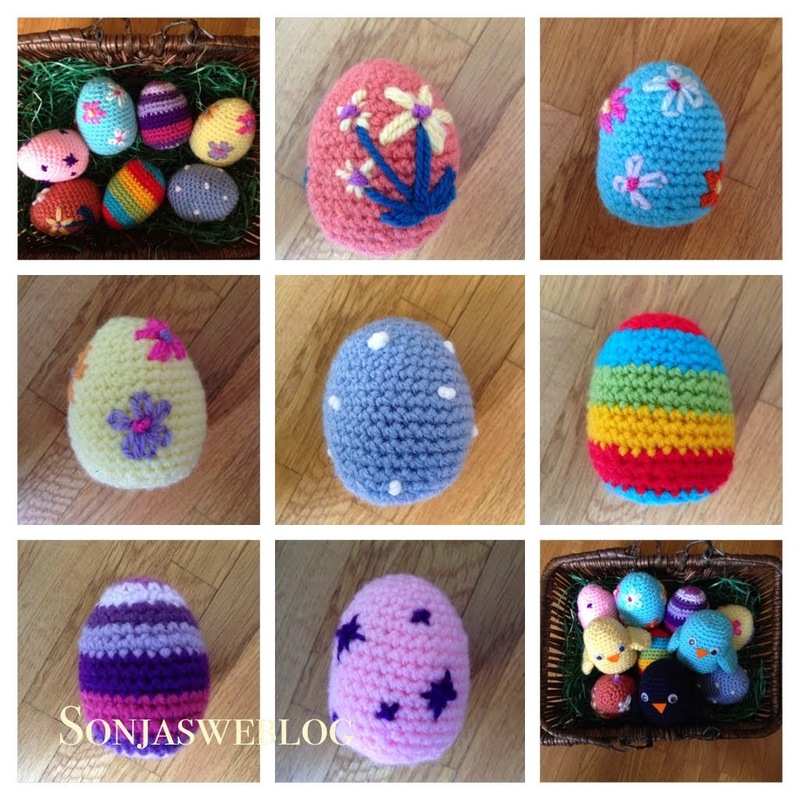 The last weekends I was busy crocheting some Easter decoration: some little birds and some eggs. And interestingly they are almost the same size. The birds are filled half with filling material and half with rice to give it better stability. Instead of safety eyes I used the ones to glue on, but that's not safe for little kids or pets as the eyes tend to fall off when touching. 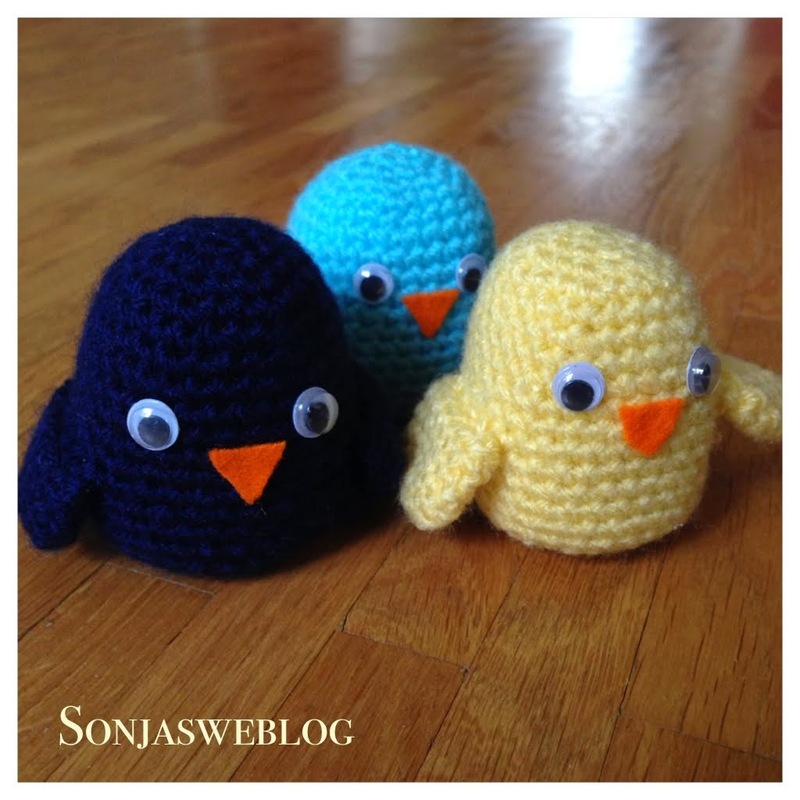 The pattern for the little birdies including a little story can be found here. For the eggs I followed this pattern here.